The 1 15/16" x 1 15/16" (50mm x 50mm) square louvre is a standard profile available in lengths of up 60" (1500mm). Available in all manner of colours and finishes, you can create a dynamic and powerful expression in any project. The 1 3/16"" x 1 9/16" (30mm x 40mm) rectangular louvre is a variation on the square profile and is also available in lengths of up 60" (1500mm). Technically more challenging to create because of it's unbalanced dimensions, CN's expertise and equipment easily overcomes this. This 3 9/16" x 3 9/16" (90mm x 90mm) square baguette is one of the largest standard quare louvre available on the market today and is available in lengths of up to 60" (1500mm). If a project requires a larger scale, this louvre can add that. This 3 2/16" x 3 2/16" (80mm x 80mm) square baguette, like V4, is one of the largest standard square louvres available on the market today and is available in lengths of up to 60" (1500mm). If a project requires a larger scale, this louvre can add that. This 1 3/16" x 1 9/16" (30mm x 40mm X 82mm) stadium baguette combines a modern straight edge with a delicate curve and is available in lengths of up to 60" (1500mm). This 1 15/16" x 2 6/16" (50mm x 60mm) baguette allows for a subtle change in the reflection of the standard baguette and is available in lengths of up to 60" (1500mm). 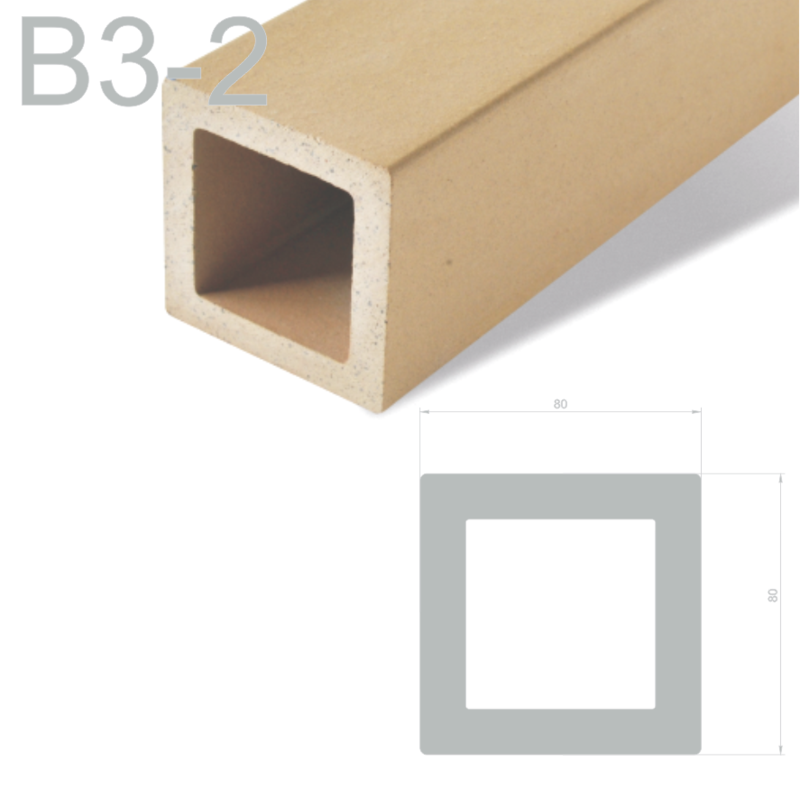 This 2 6/16" x 3 15/16" (60mm x 100mm) rectangular louvre is available in lengths of up to 60" (1500mm). This 3 2/16" x 6 5/16" (80mm x 160mm) rectangular louvre is massive, and is available in lengths of up to 60" (1500mm). This 5 14/16" x 3 12/16" (150mm x 95mm) is one of the most uniquely shaped standard sunshades available on the market today and is available in lengths of up to 60" (1500mm). This shape serves as a example of not only our range of products, but our capabilities. This 2 6/16 diameter (60mm) tube has an elegant subtlety over the standard standard square louvre available on the market today and is available in lengths of up to 60" (1500mm).